Dylan Clarke had plenty of the ball in Essendon's VFL loss on Saturday. A final quarter fade-out has seen Essendon fall for its first loss of the season to Williamstown by 32 points at Williamstown Football Ground. Having travelled down south for the most torrid conditions of wind and rain, the Bombers were within a single point of the Seagulls at three-quarter-time but conceded five goals to one in the final quarter to leave empty-handed, 10.17.77 to 6.9.45. Coming off a 102-point win against Frankston in the season opener, Dan Jordan’s side was prepared for a completely different ball game against Williamstown. Forecasts of howling gales and intermittent rain were the welcome party and neither relented for much of the contest. Essendon burst out of the blocks with Shaun McKernan continuing his fine start to the season with a pair of goals in the first quarter but by half time the Seagulls had snatched an eight-point lead and were clearly adjusting to their native conditions better. A snap out of the ruck from Matt Leuenberger late in the third quarter drew the margin to the narrowest of gaps going into the final change, but Essendon’s fight blew out of them as goals from Willie Wheeler, Lachlan George and Jack Dorgan within the first nine minutes turned the contest from an arm-wrestle into an avalanche. The Bombers were plagued all day by the wind as forays forward sailed out on the full and steady possession eluded them. While Dylan Clarke (40 possessions) and Jordan Ridley (27 with numerous goal-saving solo efforts coming out of full back) starred and Patrick Ambrose impressed upon his return to VFL, Essendon was left without the firepower that had seen it win so comprehensively against the Dolphins and is still searching for its maiden win in Williamstown. “We probably just didn’t adjust to conditions. We lost around the contest and wasted opportunities, really,” Jordan said after the match. “I think they defend better into the wind. 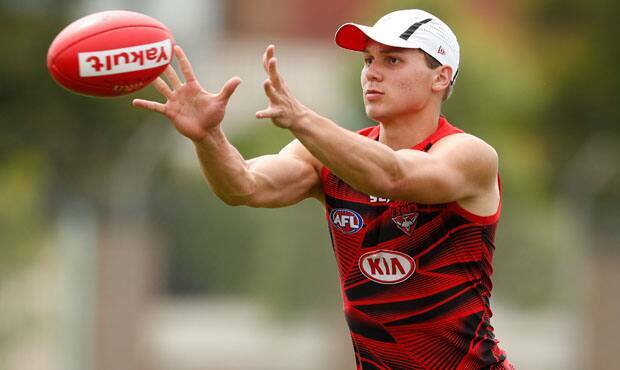 Essendon will play Collingwood at Victoria Park next Saturday from 2.10pm.